Background Clinical pharmacy services have potential to contribute significantly to the multidisciplinary team providing safe, effective and economic care for patients. Given recent practice developments (e.g. polypharmacy reviews and pharmacist prescribing) there is a need to provide a current synthesis of the evidence base for characteristics and outcomes of clinical pharmacy practice in chronic kidney disease patients. Aim of the review To critically appraise, synthesise and present the available evidence of the characteristics (structures and processes) and outcomes of clinical pharmacy practice as part of the multidisciplinary care of patients with chronic kidney disease. Method PubMed, International Pharmaceutical Abstracts (IPA), Cumulative Index to Nursing and Allied Health Literature (CINAHL), Medline and Scopus were searched for peer reviewed papers using improved search strategy. Included studies were quality assessed using Downs and Black tool for controlled studies and the mixed methods appraisal tool for all controlled and non-controlled studies. Data were extracted and synthesised using a narrative approach. Screening, quality assessment and data extraction were performed by two independent researchers. Ethics approval was not required. Results Forty-seven studies were identified from a variety of countries, with 31 based in a hospital setting. Controlled study designs were employed in 20, with only ten of these using randomisation. Resources available for service provision were poorly reported in all papers. Positive impact on clinical outcomes included significant improvement in parathyroid hormone, blood pressure, haemoglobin and creatinine clearance. Pharmacists identified 5302 drug related problems in 2933 patients and made 3160 recommendations with acceptance rates up to 95%. Impact on humanistic outcomes was shown through improvement in health related quality of life and patient satisfaction. Economic benefits arose from significant cost savings through pharmaceutical care provision. Conclusion While there is some evidence of positive impact on clinical, humanistic and economic outcomes, this evidence is generally of low quality and insufficient volume. While the existing evidence is in favour of pharmacists’ involvement in the multidisciplinary team providing care to patients with chronic kidney disease, more high-quality research is warranted. The online version of this article ( https://doi.org/10.1007/s11096-019-00816-4) contains supplementary material, which is available to authorized users. Understanding fully the structures, processes and relevant outcomes associated with clinical roles of pharmacists is essential to make best use of resource for optimal patient care. There has been a significant volume of research of the clinical role of pharmacists in Chronic Kidney Disease, but it is of limited detail and quality. There is a need for agreed standard sets of outcomes for clinical pharmacy practice and research in chronic kidney disease. Chronic Kidney Disease (CKD) continues to be a global concern with a high risk of mortality, frequent hospitalisation and reduced life expectancy . Most patients have co-morbid conditions such as cardiovascular and mineral bone diseases . Clinical pharmacy services have the potential to contribute significantly to the multidisciplinary team providing safe, effective and economic care . Key clinical pharmacy roles in the multidisciplinary care of CKD patients were described by two renal pharmacy consultants Mason and Bakus in 2010 . These roles included specific areas such as managing anaemia, renal mineral bone disease and hypertension, as well as more general medicines selection and review . Another major role pharmacists can play is to contribute to renal drug cost management . An emerging role is the potential for the pharmacist to prescribe and modify medicines, which has now been implemented into practice in the United Kingdom (UK), United States (USA) and New Zealand . There is a need to establish the evidence base of the impact of clinical pharmacy in the care of CKD patients. In 2012, Salgado et al. published a systematic review which included synthesis of the peer reviewed literature up to March 2010 . The original review identified 37 studies (38 articles), involving 4743 participants. Majority of the papers were of uncontrolled design (80%) . Twenty-one articles (55.3%) reported outcome measures and process indicators, 4 (10.5%) reported only outcome measures, thirteen (34.2%) reported only process indicators and none reported structures . Pharmacists identified 2683 drug-related problems in 1209 patients. The results from controlled studies (average quality score 0.57, SD = 0.10) reported that pharmacists’ interventions reduced all-cause hospitalisations, reduced the incidence of end-stage renal disease or death in patients with diabetic nephropathy, improved management of anaemia, blood pressure, calcium and phosphate parameters and lipid management . The uncontrolled studies included in the original review shown positive impact of pharmacists’ interventions on the reduction of transplant rejections and fewer adverse events . The reviews main limitations were selection and language bias which might affect the quality of the systematic review. Salgado et al. concluded that the evidence of pharmacists’ interventions in patients with CKD is scarce, of variable quality and with heterogeneous outcomes . Since the publication of the original review by Salgado et al., the prescribing practice has continually developed with new services and models of care being developed and embedded into clinical pharmacy practice. Hence, there is a need to update and extend the review. Given developments in clinical pharmacy globally, it is likely that further research has been reported thus an up-to-date synthesis is warranted. What clinical pharmacy practice related resources (structures, e.g. the multidisciplinary team, clinical pharmacy skill mix and time allocation) are in place and how are these matched to healthcare needs and demands to enable provision of care to chronic kidney disease (CKD) patients? What activities are performed (processes, e.g. medication review, prescribing) to care for patients with CKD, how and when are they performed? What are the outcomes of the structure and the processes on the effectiveness (Economic, Clinical, and Humanistic Outcomes (ECHO) model)  of care provided? The systematic review protocol was registered with the International Prospective Register of Systematic Reviews (PROSPERO) (PROSPERO 2017 CRD42017065258). The protocol was constructed in accordance with PRISMA-P (Preferred Reporting Items for Systematic review and Meta-Analysis Protocols) standards , and the review conducted and reported in accordance with PRISMA (Preferred Reporting Items for Systematic Review and Meta-Analysis) standards . PubMed, IPA, CINAHL: (“pharmaceutical services” [MH+] OR “pharmacy” [MH+] OR “Pharmacies” [MH] OR “Pharmacists” [MH] OR “clinical pharmacist*” [TI/AB/SU] OR “clinical pharmacy” [TI/AB/SU] OR “clinical pharmacies” [TI/AB/SU] OR “pharmacist*” [TI/AB/SU] OR “pharmaceutical services” [TI/AB/SU] OR “pharmacies” [TI/AB/SU] OR “pharmacy” [TI/AB/SU]) AND (“kidney diseases” [MH+] OR “renal replacement therapy” [MH+] OR “proteinuria” [MH+] OR “CKD” [TI/AB/SU] OR “nephropathy” [TI/AB/SU]). (“Pharmaceutical care” [TI/ABS/KEY] OR “Pharmacist” [TI/ABS/KEY] OR “Clinical pharmacy” [TI/ABS/KEY]) AND (“Chronic Kidney Disease” [TI/ABS/KEY] OR “Renal replacement Therapy” [TI/ABS/KEY] OR “Haemodialysis” [TI/ABS/KEY] OR “Kidney failure” [TI/ABS/KEY]). The bibliography list of included studies was reviewed to further identify additional references. Only quantitative studies (randomised and non-randomised controlled and uncontrolled trials, cohort studies and before and after evaluations) published in peer-reviewed journals were included in the review. Papers published in English and focusing on researching clinical pharmacy practice and the role of the pharmacist in managing patients with CKD were included. Studies not addressing the topic, literature based only on conceptual models, i.e. lacking empirical evidence, grey literature including conference proceedings, abstracts and unpublished studies were excluded. Observational studies were excluded since they did not address the aim of this review. Title and abstract screening and quality assessment for inclusion were conducted independently by two reviewers (FA and SC), with any disagreements resolved by discussion with a third independent reviewer (DS). An independent, duplicate quality assessment of each study was undertaken (DS, TJ, FA & SC). All controlled, uncontrolled and descriptive studies were assessed using the mixed methods appraisal tool (MMAT), a validated and unique tool for appraising different types of study designs . All controlled studies included in this review were additionally assessed for quality using the Downs and Black’s method in line with the original review , a validated tool with a scoring scale consisting of 27 questions grouped into five domains (reporting, external validity, bias, confounding and power). The total score is 32 and is expressed as rates, the higher the score the better the quality of the paper in terms of methodology (maximum is 1) . To classify scores, the approach of Machado et al. was applied  (i.e. < 0.5 was considered ‘weak’, 0.5–0.69 were ‘fair’, 0.7–0.79 ‘good’ and 0.8–1.0 ‘very good’). Data extracted included: primary author, year of publication, aim/objectives, design, duration, setting, participants, pharmacist interventions, key findings or main outcomes and conclusion. Structures, processes and outcomes were adapted from Donabedian’s quality of care model . Structure was defined as the ‘resources required for the pharmacist to be able to provide care to renal patients such as requiring special training, availability of policies and procedures for practice etc’. Process was defined as ‘the activities that are performed by the pharmacist on a daily basis or on specific intervals and how and when they are performed. These activities may include: daily clinical rounds, involvement in patients’ management plans, medication reviews, therapeutic recommendations and pharmacist prescribing. Outcome measures included clinical outcomes such as: clinical parameters, medication-related adverse events, mortality and morbidities, humanistic outcomes such as: quality of life and economic outcomes such as: rate of hospitalisation and cost of inappropriate therapies. In addition, pharmacists’ intervention was defined in the previous review as “any action with the aim of modifying the process of use of drugs, either in patients’ activities or in medical or health care practitioners’ activities” . Due to heterogeneity in the data obtained from the included papers (type of patients, study design, outcomes measured), only descriptive and narrative synthesis was possible. All findings were considered by two independent reviewers to ensure robustness and consistency in execution of the review process. No systematic reviews were identified from the Cochrane database and no additional primary studies were identified from the bibliography lists of included studies. Databases searches identified 4140 potential articles to screen further for eligibility (Fig. 1). Only 47 articles met the inclusion criteria and after quality assessment were of a standard deemed acceptable for inclusion in the review. The Downs and Black’s mean score of the 20 controlled studies was 0.557 (SD = 0.075). All papers presented ‘fair’ quality with the exception of four that scored < 0.5 and was therefore considered ‘weak’ quality. The quality assessment of all the included studies using the MMAT tool for the randomised (n = 10), non-randomised (n = 20) and descriptive studies (n = 17) are shown in Figs. 2, 3 and 4. Tables 1 and 2 detail the data extraction characteristics of controlled and uncontrolled studies included in the systematic review [15, 16, 17, 18, 19, 20, 21, 22, 23, 24, 25, 26, 27, 28, 29, 30, 31, 32, 33, 34, 35, 36, 37, 38, 39, 40, 41, 42, 43, 44, 45, 46, 47, 48, 49, 50, 51, 52, 53, 54, 55, 56, 57, 58, 59, 60, 61]. Veterans in pharmacist-managed ESA clinics had more haemoglobin measurements on average (5.8 vs. 3.6 in usual-care sites and 3.8 in usual care at ESA clinic sites; p = 0.007). The difference in the prevalence of dosing inadequacy between the control and intervention group before the pharmacists’ intervention was 0.73% [95% CI (− 6.0)–7.5] and after the pharmacists’ intervention it was 13.5% [95% CI 8.0–19.5] (p < 0.001) while the difference in the mean of drug-related problems per patient before the pharmacists’ intervention was 0.05 [95% CI(− 0.2)–0.3] and following the intervention it was 0.5 [95% CI 0.3–0.7] (p < 0.001). Suspected adverse drug events in the intervention group were significantly lower than the pre-intervention group (35 in 27 patients versus 18 in 11 patients, p < 0.001). However, there was no significant difference between length of ICU stay and mortality after pharmacist dosing adjustment, which was 8.93 days versus 7.68 days (p = 0.26) and 30.10% versus 27.36% (p = 0.39), respectively. The majority of identified ADEs caused significant injury (48.6% in the pre-intervention period and 44.4% in the post-intervention period) to the patients involved; the number of these ADEs differed significantly between the two groups (p = 0.02). Adherence was significantly improved in patients of the ICG (91%) compared with SCG (75%) during the first year after transplantation (p = 0.014). Daily adherence measures were already improved within 30–40 days after start of intensified patientcare. Intensified care patients also showed significantly better results for taking adherence (p = 0.006), pill count (p = 0.008) and drug holidays (p = 0.001). The pharmacist MTM intervention did not significantly improve total proteinuria screening at the population level (OR 2.6, 95% CI: 0.5–14.0; p = 0.3). However, it tended to increase screening of previously unscreened patients (78.6% in the pharmacist MTM group compared to 33.3% in the control group; (OR 7.3, 95% CI: 0.96–56.3; p = 0.05). The incremental cost-effectiveness ratio for academic, government, and corporate hospitals HD patients of PC group compared with UC group were 86,230 Indian Rupee (INR)/Quality adjusted life year (QALY) ~ (1223.03 USD), 231,016.66 INR/QALY ~ (3276.6 USD), and 87,430 INR/QALY ~ (1240.05 USD), respectively. Hospital setting and home visits. Kidney transplant clinics of a medical centre. The 47 studies were carried out in a variety of geographic locations: USA (n = 10), Iran (n = 5), India (n = 7), France (n = 3), Spain (n = 3), Jordan (n = 2), China (n = 2), Japan (n = 3), Singapore (n = 2), Nigeria, Taiwan, Australia, Saudi Arabia, Germany, Netherlands, Indonesia, Norway, Canada and the UK (n = 1 in each country). Two studies from 2008 to 2009 were not included in the systematic review of Salgado et al. , hence were considered as part of this review. Thirty-one studies were conducted in hospital settings (wards, intensive care units (ICU), clinics, departments and dialysis units) and 16 in primary care settings, including clinics and community pharmacies. The follow-up time in all included papers ranged from 4 weeks to 24 months with a mean of 9.4 (standard deviation, SD = 5.08) months, with four studies with unclear duration. The majority of studies (n = 27) used an uncontrolled study design, 21 prospective and six retrospective. The remaining 20 were controlled, ten of which were randomised and ten non-randomised. According to Thomson Reuters Journal Citation Report at the time of publication the median impact factor of the journals of articles included was 1.348 (IQR 0.52–2.01), n = 45, two journals did not have an impact factor at the time of publication. Patient mean age was 46.7–84.9 years, with five studies failing to report age [23, 29, 31, 46, 60]. Of the total of 11,122 patients from all studies, 9151 were at various stages of chronic kidney disease not on dialysis, 1036 were haemodialysis (HD) dependent, 533 receiving other forms of renal replacement therapies such as continuous renal replacement therapy (CRRT) or continuous veno-venous hemofiltration (CVVH), and 402 were transplant patients. Outcomes were reported in 37 papers, with 25 of these (67.6%) also reporting details of the processes of care, and four (10.8%) reporting structures, processes and outcomes. Outcomes reported were: clinical only (17, 45.9%), economic with linked clinical (5, 13.5%), humanistic with linked clinical (4, 10.8%), humanistic only (2, 5.4%) and economic only (2, 5.4%). The 10 remaining papers did not report outcomes measures with one (2.1%) that reported structure and process indicators only and 9 (19.1%) reported process indicators only. Structures were poorly reported in all studies, with only two giving some details of multidisciplinary team involvement [52, 61], while, none on the pharmacist skill mix or time allocation. The only aspect of structures reported relating to training which was given in five studies. In one, pharmacists and pharmacy residents were engaged in a two-week training of literature review and patient assessments . A community pharmacist based study described a workshop covering clinical presentations of CKD, managing drug-related problems and discussing patient cases . Similar training was described for community pharmacists,  and hospital clinical pharmacists , to enable them to identify patients with renal insufficiency and perform dose adjustments. A four session course to all members of the multidisciplinary team prior to the study was described in one article . All studies provided some description of the processes undertaken by the pharmacists, although the detail provided varied considerably and was generally lacking. The majority of processes (often labelled as interventions) included medication chart review to identify any drug-related problems (DRPs) [15, 16, 17, 18, 19, 20, 21, 22, 23, 24, 25, 26, 27, 28, 29, 30, 31]. Many studies reported pharmacists’ interventions in: modifying drug doses and recommending new pharmacotherapy; [16, 19, 21, 22, 23, 25, 26, 27, 29, 30, 32, 33, 34, 35, 36, 37, 38, 39, 40, 52, 59]; interacting with a member of the multidisciplinary team; [15, 16, 17, 19, 20, 21, 23, 24, 25, 27, 31, 32, 34, 35, 36, 37, 38, 40, 41, 42, 43] requesting and monitoring laboratory parameters; [15, 23, 25, 27, 33, 34, 36, 37, 43] assessing appropriateness of medications prescribed for hospitalised patients at each point of care; [17, 22, 29, 30, 35, 36, 37, 38, 40, 57]. Fewer studies described pharmacist processes at out-patient, pharmacist-led clinics relating to the management of specific CKD complications, such as anaemia; [34, 39, 44] hypertension and diabetes;  managing hypertension through telemedicine;  optimising dyslipidaemia management; [37, 45] improving haemoglobin A1c levels (HbA1c);  and emphasising smoking cessation. [37, 43] Development of protocols and compiling and updating guidelines were also described in two studies [22, 34]. Performing medication reconciliation ; providing patient medication counselling, education on disease status or medication, conducting motivational interviews to improve adherence were also reported [15, 25, 27, 29, 30, 34, 36, 37, 42, 43, 47, 48, 49, 50, 55, 57, 58, 60]. A number of studies reported pharmacists’ participation in ward rounds [17, 22, 35, 37, 38, 40], providing educational sessions to healthcare professionals [22, 34] and performing activities such as medication use evaluations . There were no reports of pharmacist prescribing activities; one study described the process of deprescribing to optimise medication use . Fewer studies provided any data on time spent on specific activities. Interaction time between pharmacist and patients were reported in two studies, varying from 15 to 30 min [43, 50] and the timeframe in which the services were provided ranged from daily [35, 36, 37, 38, 40] to every three months . Across all studies, the pharmacists identified 5302 drug-related problems in 2933 patients. Pharmacists made 3160 recommendations to healthcare professionals with an acceptance rate varying from 33.3% in a community setting;  46.43% in a dialysis unit;  to around 95% in hospital settings [17, 24, 42, 51, 52, 57]. Only three studies reported the clinical significance of recommendations. Of these 26% were of moderate to , 48.8% of major clinical significance  and 47% serious severity . A pharmacist-based quality improvement programme consisting of pharmacists’ interactions with the patients and electronic collaboration with the physicians was associated with a significant improvement in the measurement of PTH during the study period . Pharmacists’ interventions led to medication therapy modifications [16, 17, 18, 19, 20, 21, 24, 25, 26, 27, 28, 29, 31, 33, 37, 42, 46] and resolving medication record discrepancies [46, 57]. Patients’ compliance with ongoing blood pressure (BP) monitoring post kidney transplantation was significantly improved with pharmacists’ input . Counselling by pharmacists significantly improved medication adherence in patients with CKD [47, 50, 60]. The final column of Tables 1 and 2 titled ‘Main outcomes achieved’ provides a detailed summary of main results and statistical significance values related to each of the studies summarised below. Clinical outcomes only were reported in (n = 17) studies. A pharmacist-based quality improvement programme in a pragmatic randomised controlled study reported that patients in the intervention arm were prescribed more classes of antihypertensive medications than those in the control arm . In a 6-month cluster randomised trial, pharmacists attending a structured training and communication-network programme (ProFil) and managing hypertension in CKD patients demonstrated larger reduction in systolic blood pressure (BP) of the intervention group compared to the usual care group . Intervention in the management of BP in CKD and haemodialysis resulted in achieving target BP in the intervention versus the control group [32, 54, 55], significant reductions in mean systolic and diastolic BP in a group of kidney transplant recipients , and significant reduction in systolic and diastolic BP in diabetic nephropathy . Only one article showed that pharmacists’ intervention in an intensive care unit (ICU) setting reduced the length of ICU stay . Another study reported reduction in the length of stay in the intervention group by 1.3 days (p < 0.001) and reduced unplanned admission by 27% (p = 0.047) . One further study showed no difference of pharmacists’ intervention compared to usual care on hospital readmission outcomes . Pharmacists were also involved in the monitoring of kidney function in patients with CKD and demonstrated significant differences in measuring CrCl between discharge and admission . However, one study demonstrated no difference in the mean serum creatinine or estimated glomerular filtration rate (eGFR) between the intervention and control groups . A retrospective controlled study reported improvement in eGFR, uric acid, cholesterol and HbA1c in the intervention group compared to the control group after multidisciplinary care, however, pharmacists’ contribution to the care was not clearly reported . Four studies gave outcomes of pharmacists managing anaemia in CKD patients [34, 39, 44, 55], with significant haemoglobin values within target range in pharmacist-led clinic. Time to achieve target haemoglobin was 28 days in the pharmacist-managed group compared with 41 days in the usual care group . While the proportion of patients achieving target haemoglobin was not significant, pharmacist intervention significantly improved haemoglobin and iron monitoring by improving compliance to therapy . Pharmacist counselling significantly improved haemoglobin levels in one study , with haemoglobin concentration and Transferrin saturation (TSAT%) increasing significantly and serum ferritin reaching target values in a prospective uncontrolled study . An uncontrolled study of the impact of on managing secondary complications of haemodialysis patients resulted in significantly increased median serum calcium in those with hypocalcaemia and decreased values in hypercalcaemia, a decline in serum phosphate in patients with hyperphosphataemia, and an increase and decrease in serum iPTH in patients with sub-optimal and supra-optimal levels respectively . Pharmacists’ interventions in a pragmatic, cluster randomised study improved screening of proteinuria between an interventions compared to control group . A non-randomised controlled study of pharmacist involvement in a monitoring program for CKD reported significant differences in CrCl between discharge and admission in both the control and intervention groups . In a cluster, randomised study health related quality of life (HRQoL) improved significantly compared to control in a group of haemodialysis patients receiving pharmacist intervention over a 6-month period . In a non-randomised controlled study, HRQoL domains were not significantly impacted by the additional pharmacist care in kidney transplants . A multicentre RCT reported significant improvement in HRQoL scores in the intervention group compared to control . Patient satisfaction reported in two randomised controlled studies: 92% of patients had positive feelings about pharmacists’ involvement in their care and felt that the pharmacist provided beneficial information  and 43% of patients were ‘very satisfied’ with the care received and were willing to receive future care from the pharmacist . A cross-sectional prospective study demonstrated that patients were greatly satisfied with the intervention . Only seven studies reported economic outcomes resulting from pharmacist input [22, 35, 38, 39, 40, 44, 56]. One study reported that pharmacists in the ICU could contribute to significant cost savings in septic patients, with antimicrobial prescribing efficiencies accounted for 34.7% of total savings . In a study investigating an ICU pharmacist dosing adjustment programme, the mean ICU hospitalisation costs per patient decreased significantly with total savings of 2669.5 USD per patient . Jiang et al. demonstrated that pharmacist dosing adjustment resulted in drug cost savings per patient of 2345.98 USD with antibiotics accounting for 64.5% of all cost savings. The presence of an ICU pharmacist resulted in 2346 USD savings per patient receiving continuous renal replacement therapy . Debenito et al. reported that the mean weekly dose of erythropoiesis-stimulating agents (ESAs) was significantly less in the pharmacist-managed group than the usual care group and the annualised ESA cost per patient reduced by 1288 USD , whereas, Aspinall et al. reported lower average dose of darbepoetin in the pharmacist-managed ESA clinic compared to the usual care . Mousavi et al. showed that the cost per patient for inappropriate stress ulcer prophylaxis administration in patients with insufficient renal function was reduced by pharmacists’ intervention . A multicentre RCT reported that pharmaceutical care costed more per quality adjusted life year (QALY) gained compared to usual care . There are a number of important key findings that have arisen from this review and these are outlined below. Forty-seven new studies have been published in the intervening 8 year period since a previous similar review . Ten of these are of a ‘gold standard’ RCT design and the quality of the controlled studies included is generally poor. Structures and processes were very poorly reported and none of the studies included consideration of pharmacist prescribing—which is considered in several countries, where it has been implemented, to be a significant advance in pharmacy practice. The process indicators in the original review  and this review were very similar but this review identified papers with clear shift from only identifying drug-related problems to more involvement of the pharmacist in medication therapy management. Most of the studies in this review continue to focus on and report details of DRPs as an indicator of the process of pharmacy practice. Some of these considered the clinical significance of these DRPs but this was not universal. Less focus on clinical, humanistic and economic outcomes was observed in majority of the papers in both reviews. Many of the uncontrolled studies had a variety of quality deficiencies including; lack of comprehensive explanation of the pharmacists’ intervention, under-reporting of adverse events and insufficient information to allow reproduction of the study for interested readers. Few studies lacked some important information leading to poor scoring of the study, such as lack of clarity in stating the study aim,  the number of participants, the population from where the sample was drawn, duration of the data collection or the study period, frequency of follow-up, and some studies were unable to clearly state the distribution of the confounders in both groups [15, 22, 30, 35, 39, 45]. The majority of the 20 controlled studies were of ‘fair’ quality with the exception of four that were considered ‘weak’ [22, 55, 56, 58]. High quality RCTs with low levels of bias generate the highest level of evidence . However, the availability of quality evidence in this area is limited with only 5 RCTs were included in this review and 4 in a previous review by Salgado et al. . The RCTs in both reviews lacked sufficient information on the randomisation process, in addition to poor detail on any blinding process of the care-giver and the care-receiver (however, it might be a challenge to blind in some study designs) so jeopardising the quality of these studies . It is therefore evident that there has been a limited amount of high quality research published for the benefits of clinical pharmacy practice in CKD. There is particularly a paucity of evidence from RCTs offering a robust evidence base for practice. Despite this criticism there is a growing body of information in relation to some aspects of clinical pharmacy practice that offers some insights to the developing quality of services provided making real and significant differences to the outcomes of patients. This, however, needs to be verified through even more robust RCTs that are better resourced, designed and executed. The gathering of more gold standard evidence such as RCTs is essential to enable measuring the impact of clinical pharmacists’ intervention in patients with CKD compared to standard care. Furthermore, there is an identified need to carry out studies with explicit details and accurate definitions including the setting, the participants, the randomisation process and the interventions of interest. It is of paramount importance that detailed descriptions of the interventions, in terms of structures and processes and outcomes, are included in publications to allow them to be reproduced and for readers to consider the studies within the context of their own practice . Most papers lacked sufficient details of the clinical pharmacy practices so making it difficult to fully understand the activity. Without full insight to practice it is difficult to fully understand the context and characteristics of practice and so reproduce the structures and processes in wider settings. This is not just a deficiency of studies in CKD since a study by Schroter et al. to assess the replicability of published clinical interventions, in a variety of clinical settings, reported that 57% of the studies had insufficient description of the intervention of interest to make it replicable . A tool produced by Correr et al. 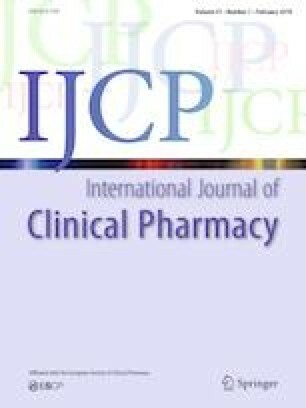 to address the lack of intervention descriptions in clinical pharmacy research (Descriptive Elements of Pharmacist Intervention Characterization Tool) DEPICT is a validated instrument for accurately describing the details of pharmacist interventions performed as part of clinical pharmacy practice . This tool could be used as a guidance to structurally describe the intervention of interest in pharmacy practice research. Additionally it should be noted that in CKD there are no studies that have specifically investigated prescribing as part of clinical pharmacy practice and there are no full description of structure, processes and outcomes as they relate to prescribing practice. 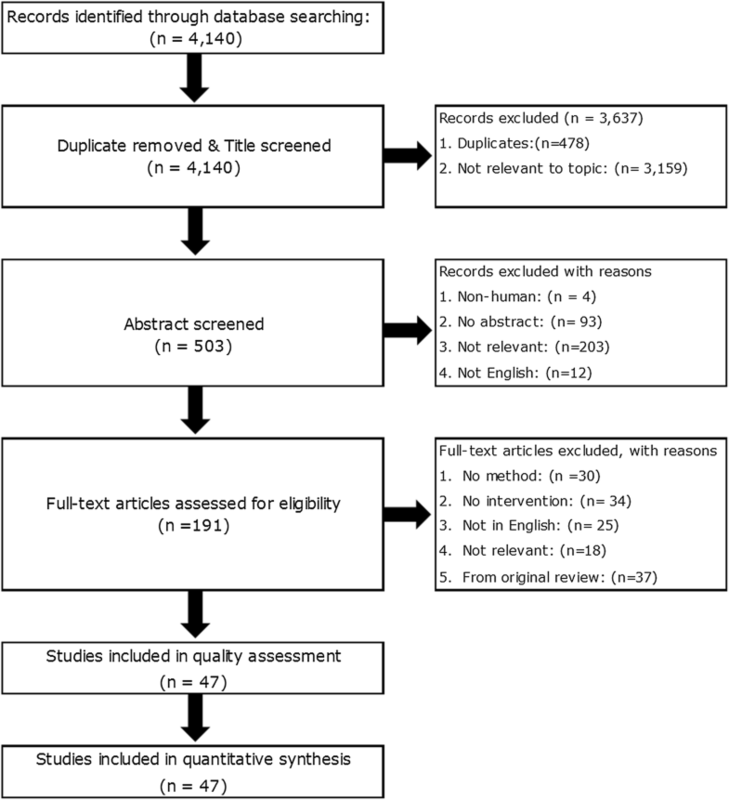 A systematic review by Tesfaye et al. published in 2017 of the prevalence of inappropriate prescribing and the impact of pharmacists’ interventions reported significant reduction in inappropriate prescribing when physicians received immediate concurrent feedback from a clinical pharmacist . The review showed minimal involvement of the pharmacist in the role of prescribing for patients with CKD. Despite the increased recognition of prescribing models such as independent, supplementary or collaborative , there was limited published evidence to lead to the best practice model for prescribing. There is also a need to stimulate more of a research culture within clinical pharmacy practice. A paper by Peterson et al. reported that lack of time, lack of opportunities, lack of training and never being asked to participate in a research were major barriers for pharmacists’ engagement in research . A systematic review by Awaisu et al. concluded that pharmacists are aware of the value of research to enable them advance pharmacy practice and indicate their willingness to be involved in independent research and in practice-based research networks. However, lack of time, training and support were the main barriers . A strength for this review is that the protocol was peer reviewed and registered with PROSPERO. The protocol was devised in accordance with PRISMA-P (Preferred Reporting Items for Systematic review and Meta-Analysis Protocols) standards  and the systematic review was conducted and reported in accordance with PRISMA (Preferred Reporting Items for Systematic Review and Meta-Analysis) standards . In terms of limitations, publication bias could potentially affect the selecting process of the articles, since no study was identified to show the negative impact of clinical pharmacy services in caring for patients with CKD. One further limitation is the exclusion of papers in languages other than English potentially leading to the omission of relevant papers. In conducting RCTs, it has been recognised that it is vital to be careful in the selection and recording of outcomes to build up a coherent dataset [70, 71, 72, 73]. Moreover, consistency in the use of outcomes will aid future users of the services and those involved in resource allocation, planning and implementation of clinical pharmacy services . It is evident from this review that where RCTs were conducted, there was no consistency in the selection and reporting of outcomes. These issues could be addressed with the development and application of agreed standardised sets of outcomes . Research on core outcome set definitions for clinical pharmacy practice is ongoing in many areas such as polypharmacy  but this appears to be lacking in CKD, which could be a potential area of work in the future. There is some evidence for the outcomes of pharmacists’ intervention in patients with CKD but this is generally of low quality and insufficient volume. The controlled studies in this systematic review showed that pharmacist interventions improved patients’ clinical outcomes such as Hb levels, CrCl, PTH and calcium levels. However, these studies lacked detail on reporting of the humanistic outcomes and there remains a paucity of evidence demonstrating economic impact of pharmacists’ interventions. There is some evidence since the last review that shows positive contributions of pharmacists’ involvement in the multidisciplinary team to provide care to patients with CKD. This includes evidence on the structure, processes of care and the outcomes of pharmacists’ intervention in patients with CKD. More high-quality research in this area is warranted. Ms Tesnime Jebara for input to quality assessment of papers. Mr Hamed Al Naamani for production of graphs and figures and general technical support in production of the manuscript. All authors were involved in all aspects of this work including; conception and design, analysis and interpretation of data, drafting and revising the article, providing intellectual content and final approval of the version to be published. None of the authors has any financial interests or connections, direct or indirect, or other situations that might raise the question of bias in the work reported or the conclusions, implications or opinions stated. In addition, the authors confirm that results presented in this paper have not been published previously in whole or part, except in abstract format. The Ethics panel of the School of Pharmacy & Life Sciences, Robert Gordon University indicated that ethics approval was not required for this systematic review. KDIGO clinical practice guideline for the evaluation and Management of chronic kidney disease. [online] Belgium: the International Society of Nephrology. http://www.kdigo.org/clinical_practice_guidelines/pdf/CKD/KDIGO_2012_CKD_GL.pdf (2013). Accessed 07 Aug 2017. Royal pharmaceutical society. A competency framework for all prescribers. https://www.rpharms.com/Portals/0/RPS%20document%20library/Open%20access/Professional%20standards/Prescribing%20competency%20framework/prescribing-competency-framework.pdf (2016). Accessed 23 Jan 2017. Pluye P, Robert E, Cargo M, Bartlett G, O’Cathain A, Griffiths F, et al. Proposal: a mixed methods appraisal tool for systematic mixed studies reviews. [online]. Montreal: McGill University http://mixedmethodsappraisaltoolpublic.pbworks.com/w/file/fetch/84371689/MMAT%202011%20criteria%20and%20tutorial%202011-06-29updated2014.08.21.pdf (2011). Accessed 03 Aug 2017. Mahboobi H, Khorgoei T, Bansal N. Designing, conducting and reporting randomised controlled trials: a few key points. ISBN: 978-953-51-0504-6, In Tech 2012. http://www.intechopen.com/books/evidence-based-medicine-closer-to-patients-or-scientists-/designingconducting-and-reporting-rtcs-key-points. Accessed 12 Feb 2018.